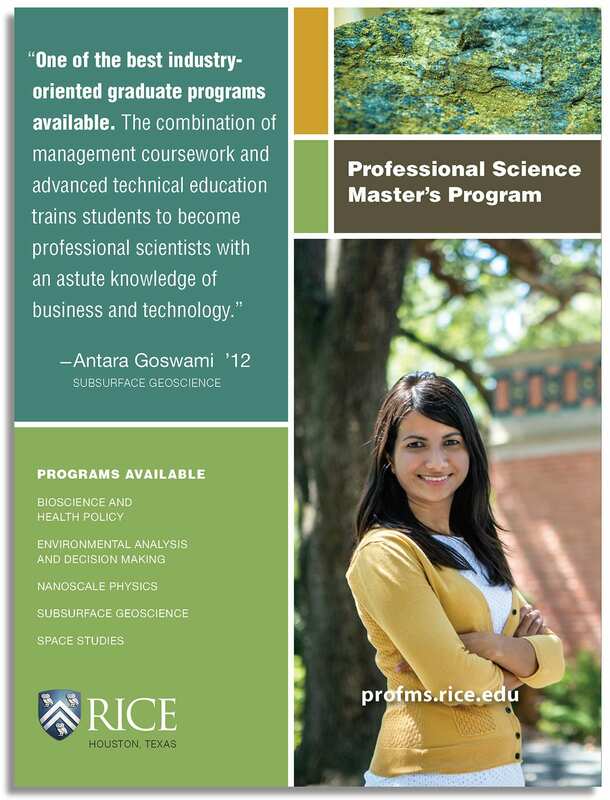 The Professional Science Master’s Program is intended for students pursuing employment in industry after graduation and comprises coursework in the core science, business practice, communication skills, policy and ethics. The focus of this program is on career advancement, not original research, and includes an industry internship as part of the program. 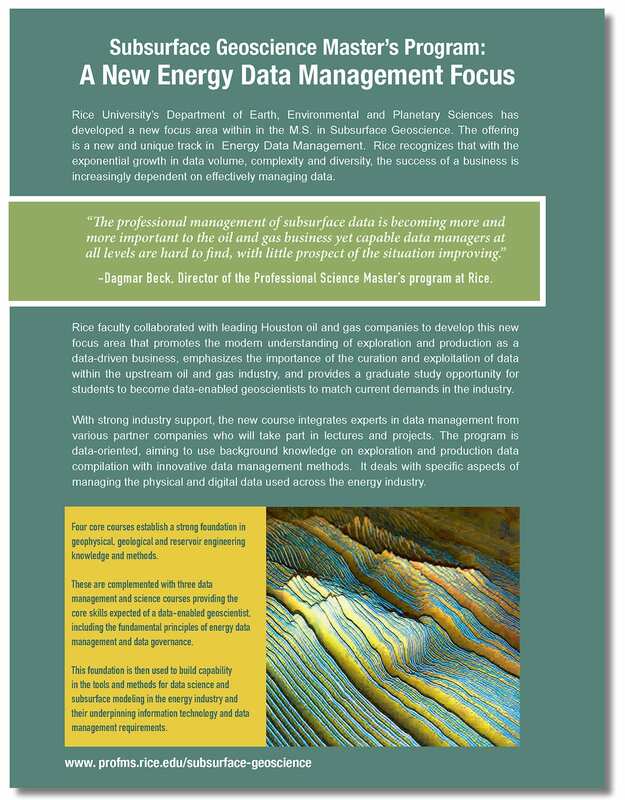 Students can choose from focus areas in energy data management, geology or geophysics. A practical work experience is required as part of this degree program. Students admitted to the program do not receive a stipend, but most earn a salary during their internship and have access to partial corporate scholarships. Click here for more information on tuition and financial aid. EEPS participates in two tracks of the Professional MS program in the Wiess School of Natural Science: Subsurface Geoscience, and Environmental Analysis and Decision Making. Click here for more information on requirements and application deadlines for the professional master’s program.